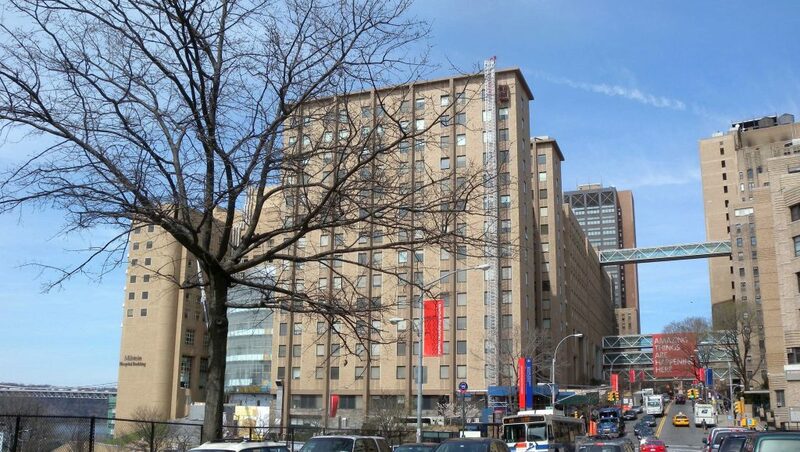 A judge has ruled that Columbia-Presbyterian Hospital must rescind the death certificate it issued for an Orthodox Jewish patient some three weeks before his death. The decision could have far-reaching effects for religious groups and the obligation of medical professionals to accommodate their beliefs, especially regarding end-of-life policies. “Because respondents did not take sufficient steps to reasonably accommodate the Nakar family’s concerns, including steps set forth in their own written policy and practice, it was not proper for respondents to declare Mr. Nakar brain dead when they did,” reads the court order. There are vast differences between situations, but most Rabbanim believe that what is termed brain death does not have any halachic validity in determining the end of life, and there is a prohibition to take any actions that would hasten death. The hospital’s failure to heed the family’s objection would probably have been grounds enough for a legal challenge. However, what was even more unusual was the hospital’s next move: to transfer Mr. Nakar to a nursing home and to issue a treatment plan. These contradictory actions were also noted in Judge Cohen’s decision. “Although the respondents declared Mr. Nakar brain dead, they did not treat him as though he was dead in accordance with their own written policy,” he wrote. A technical impasse made it impossible for the nursing home to treat Mr. Nakar, and he was ultimately transferred to Maimonides Medical Center in Boro Park. It was only when he arrived there that doctors informed his wife, Mrs. Sarah Nakar, that her husband had been declared dead by his doctors at Columbia-Presbyterian. Like many hospitals, Columbia-Presbyterian’s protocol instructs doctors not to remove life-sustaining equipment after brain death has been declared in cases where there is religious or moral objection to doing so, and to hand the matter over to another department for evaluation and consultation. In addition to the cessation of treatment that a death certificate calls for on a medical level, declaration of death also precludes reimbursement from insurance companies, who will not pay to treat a person whom doctors have said is no longer living. Nevertheless, Maimonides staff agreed to continue Mr. Nakar’s life support, with the strong possibility that the hospital would not be paid for its services. Mr. Nakar passed away there, three weeks later. However, before his actual, physical death, Mrs. Nakar began a legal battle to force Columbia-Presbyterian to rescind the death certificate. During the court hearing, which was held in May 2017, several experts on halachic end-of-life issues and religious accommodation testified, including Rabbi Chaim Dovid Zwiebel, Executive Vice President of the Agudath Israel of America, and Rabbi J. David Bleich, a member of the faculty of Yeshiva University, who is an authority on Jewish medical ethics. Columbia-Presbyterian did not respond to a request for comment from Hamodia regarding the order for a new certificate that reflected the date of his actual passing. Judge Cohen’s order also scolds that hospital’s staff for performing tests against the will of the Nakar family. “People who have been involved in these issues are saying they’ve been waiting 40 years for a case that gives a real definition to religious accommodation,” he told Hamodia. Chayim Aruchim had taken an active interest in Mr. Nakar’s tragic fate even in the early stages of the matter. Rabbi Lefkowitz said that while pressure from doctors to end life-prolonging treatments is a constant issue that his organization confronts, the act of issuing a death certificate to a patient with a functioning heart and lungs, against the will of the family, had crossed the line and demanded litigation. “It shows that the community is ready to use the tools at its disposal to protect its legal rights,” he said. Rabbi Lefkowitz said that the case and its ruling had already “made an impact on the medical field,” and that several hospitals had reached out to Chayim Aruchim about developing procedures to better accommodate the needs of seriously ill Orthodox patients. The boundaries of accommodating the needs of religious believers in the public forum have been long discussed in state houses and by the courts. In the realm of end-of-life treatment in hospitals, especially in New York State, the debate has followed a chronology of its own.